Smoking was once a major part of my life even though I never lit up. My parents did, however, and often. So often that I remember clearly how long, brown nicotine streaks stretched down our bathroom walls after each steamy shower; how the burn marks on our furniture multiplied until my mother figured how to hide them with throws and pillows – until those were burned through, too; how the school dean once told me to change clothes because they smelled strong of second-hand smoke. You’d think all that exposure would carve a similar habit into my behavior; after all, we tend to pick up many of the same habits our parents do. Instead, the constant exposure to cigarettes and their noxious or ashy effluent did just the opposite; I grew up repelled by cigarette smoke and tended to steer clear of its sources. Over time, however, I wasn’t the one who modified my behavior to meet social demands; the marketplace did. Smoking’s cachet fell away, driven largely by repeated health warnings, to be replaced with a stigma that attached to it like barnacles and pushed persistent smokers outside and away from workplace centers of decision-making. Now, add a new discouragement to smoking: Research led by the University of Wisconsin-Milwaukee says habitual smokers tend to make worse decisions regarding their personal finances than people who smoke infrequently or not at all. 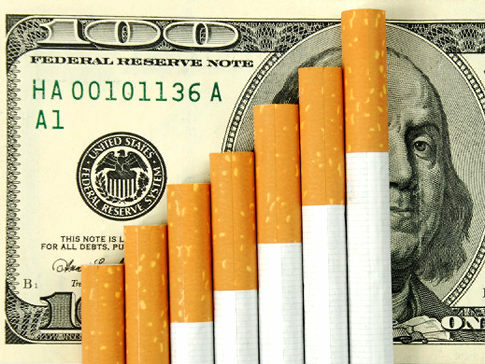 The research, buttressed by other economic analysis of smokers and led by Scott Adams, a professor of economics at UWM, surveyed more than 1,000 smokers over a two-year period and found that people who retreat into a cigarette break seeking instant gratification are likely to bridle when their attempts at fiscal gratification do not similarly yield immediate benefits. In general, smokers accept the risk of poor health to pursue their habit, Adams stipulated. That risk-taking can be considered reflective of an overall willingness to take chances – an appealing quality in business. But risking a smoke is met with the immediate gratification nicotine provides. Rewards gleaned from taking financial risks are neither readily apparent nor readily available, and hurrying toward those perceived rewards tends toward recklessness, Adams said. Adams acknowledges that other factors not measured by this study may clarify the relationship between smoking and personal finance but gave no indication that his research group would investigate them.